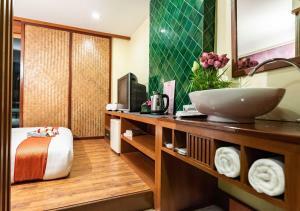 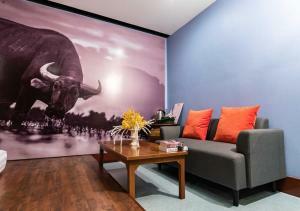 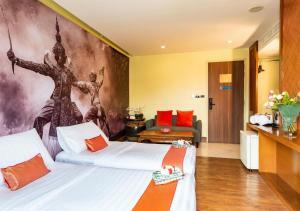 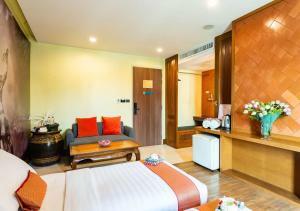 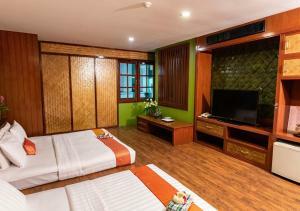 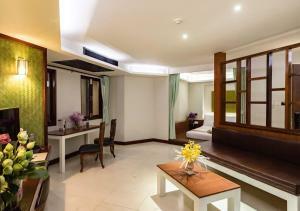 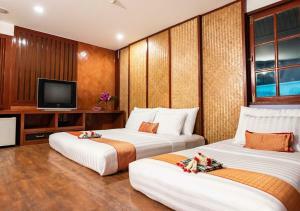 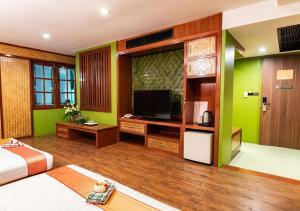 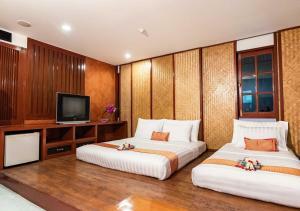 Conveniently located on the lively Khaosan Road, Dang Derm Hotel offers stylish rooms with a flat-screen TV. 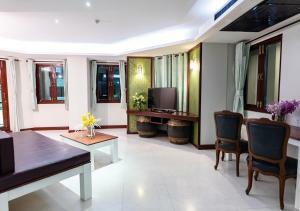 It features a rooftop swimming pool, restaurant and a 24-hour front desk. 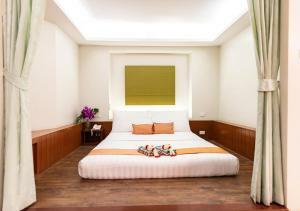 City centre can be reached by Hua Lamphong MRT Train Station, only a 20-minute drive from the property. 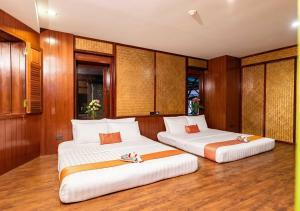 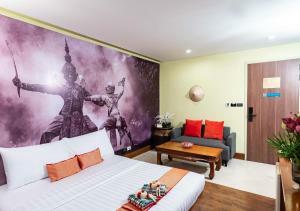 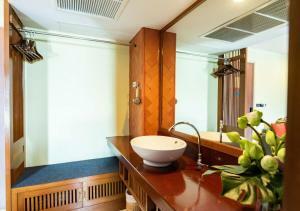 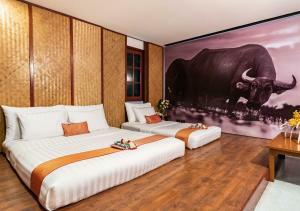 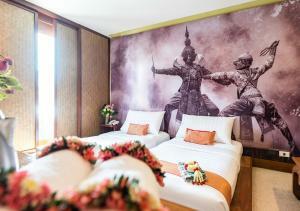 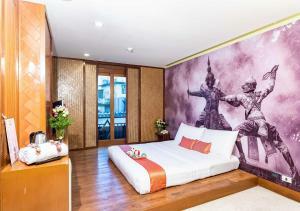 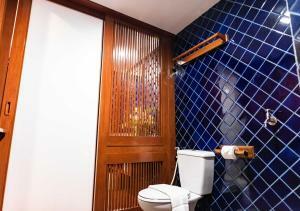 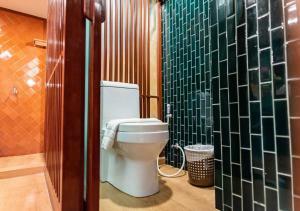 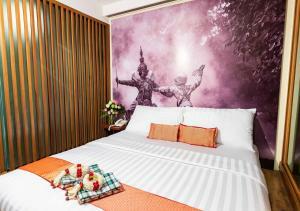 The non-smoking rooms at Hotel Dang Derm come with modern Thai décor and wooden interiors. 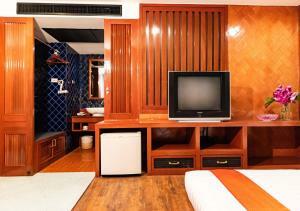 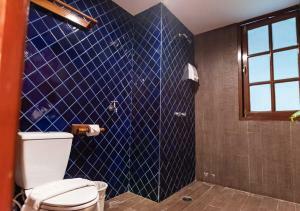 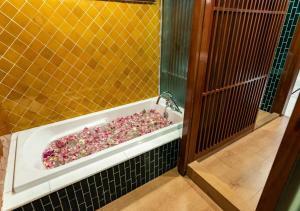 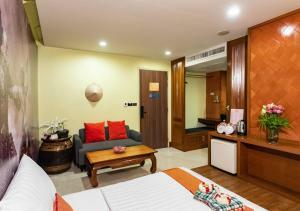 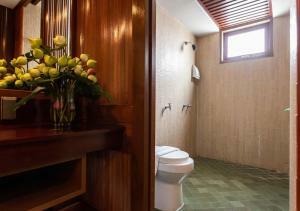 All rooms are fitted with a refrigerator, personal safe and private bathroom with a hot shower. 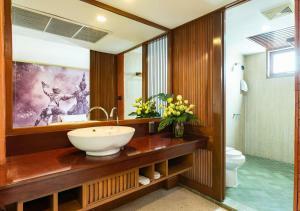 On the rooftop terrace, guests can relax with a massage, or enjoy sweeping views of the city. 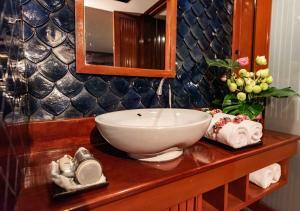 The hotel provides concierge and currency exchange services. 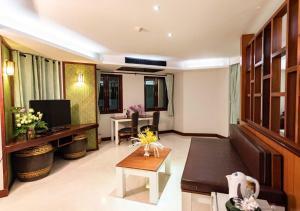 Travel bookings can be made at the tour desk. 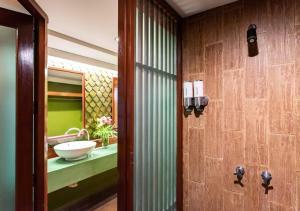 Greens & Cheese Restaurant serves a buffet spread of local and Italian dishes. 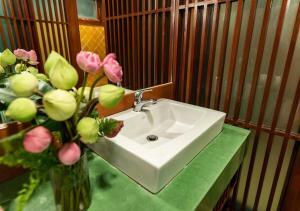 Refreshing drinks are available at the bar. 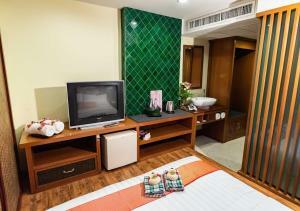 The Dang Derm is a 10-minute walk from the Grand Palace and Bangkok National Museum, while China Town is a 20-minute drive away. 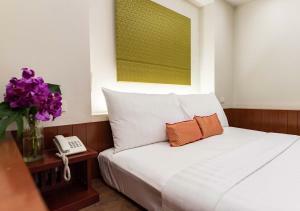 Shopping centres like MBK and Siam Paragon is within a 30-minute drive from the hotel. 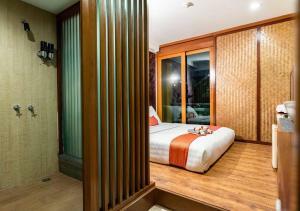 Featuring modern Thai décor and wooden interiors, this room is equipped with a flat-screen TV, fridge, personal safe and private bathroom with hot shower facilities. 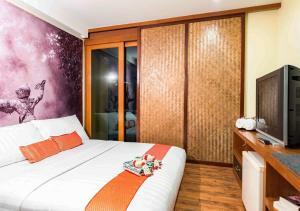 Featuring modern Thai décor and wooden interiors, this room is equipped with a flat-screen TV, fridge, personal safe and private bathroom with hot shower facilities. 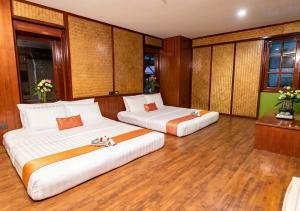 This larger room offers 2 single beds. 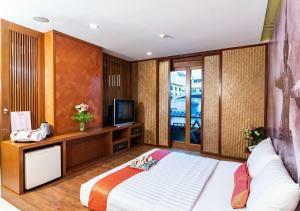 Rate: THB 1232.50 ... THB 4500.00; select dates below to get current rates. 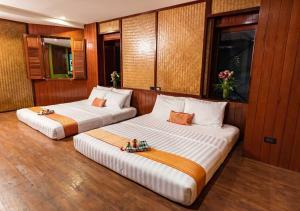 Large room for 3 persons. 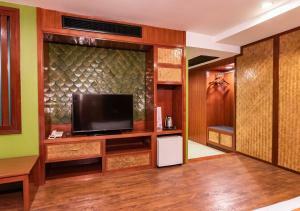 It offers a cable flat-screen TV, a seating area and a fridge. 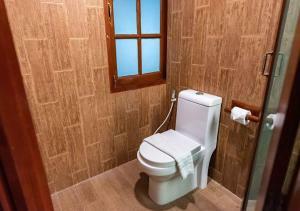 En suite bathroom comes with free toiletries and a hairdryer. 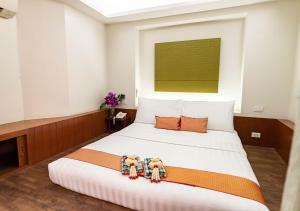 Spacious room offers a cable flat-screen TV, a seating area and a fridge. 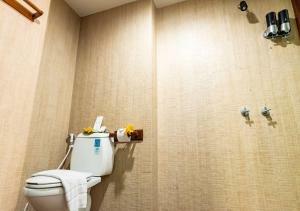 En suite bathroom comes with free toiletries and a hairdryer. 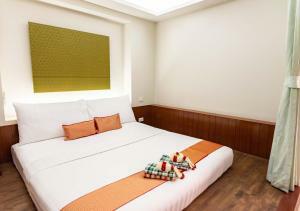 Please note that this room type is located nearer to nightlife venues and guests may experience noise disturbances. 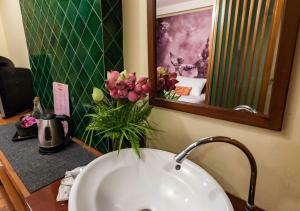 This double room has a electric kettle, seating area and air conditioning. 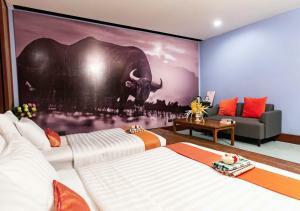 Please note that this room type is located nearer to nightlife venues and guests may experience noise disturbances.